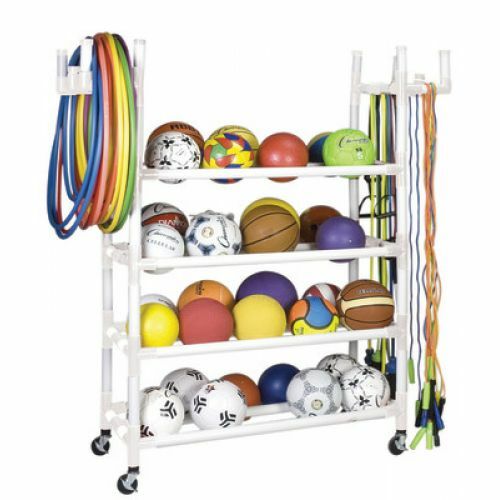 Made of durable plastic, this cart offers lightweight versatile storage. Holds up to 150 jump ropes, 48 hoops, and 4 balls on heavy-duty swivel casters that won't mar the finish on your gym floor. 61" x 19" x 62".